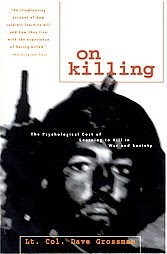 Notes: The subtitle of this book is "The Psychological Cost of Learning to Kill in War and Society," so you'll know where it's coming from. The author was an officer in the U.S. Army, and is also a historian and psychologist. The topic is of interest to me not only for intellectual reasons, but also because my fiction's characters sometimes kill, and perhaps this book will help me to add a level of realism to my characters' struggles. 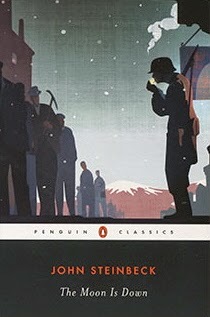 Mini review: Three-fourths of this book focuses upon the psychology and training of soldiers throughout history, but especially during WWI and WWII and Vietnam. Of major importance here is how the individual soldier emotionally and mentally copes with what he faces or faced during combat. The last part of this book takes a look at society, specifically U.S. society, and the influences of technology upon the violence found within the society. This book is 20 years old, so perhaps there have been more studies and potential breakthroughs in this area of psychology since then, but much of what is written here is still relevant. I've looked, but I've not found an updated edition or another, more modern book by the author on this subject, which is a shame considering U.S. history during the last couple of decades. I highly suggest this book for writers who have characters who kill, to better study the effects such has on the average person, even soldiers, especially soldiers. 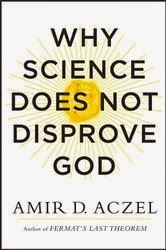 Notes: One might argue this book's title is a fallacy as science does not have to disprove God. However, the author here is a mathematician and a science writer, so I'm a little less likely to be skeptical that his viewpoint will be completely one sided. I'm always interested in studying or talking about such material, but so few people seem able to do so without becoming heated. Mini review: After reading this, I find the book's title a little more appropriate, but the main gist here is the author finds New Atheism to often make use of bad or sloppy science, or to misunderstand or misuse science altogether, and I can't say I disagree. I've no problem with atheism, but the New Atheism movement has bothered me on numerous fronts, in no small part because it seems much more of an emotional reaction against religion than the logical one so often claimed. Here the author appears to lean in my direction, though in fairness he never qualifies the why of New Atheism as he does the how of using science to further an agenda. The universe still holds a lot of mysteries, probably more than we've uncovered, and mathematically speaking we are not likely to ever uncover all those mysteries. Whether or not there is a God seems to be one of those mysteries. While not badly written, I did not find this a breezy read, especially as it gets into quantum physics, string theory, etc. Let me make clear that the author here does not attack or come down against science, but quite the contrary. His beef is with New Atheism's use of science. Also, while the author obviously has a belief in God, he does not push on his readers any particular religion or denomination, or any religion at all, for that matter. Notes: This author was the first big indie fantasy star to rise a few years back, though since I believe he's gone on to some traditional publishing. I've read a little of his work and have been meaning to read more, so here goes. 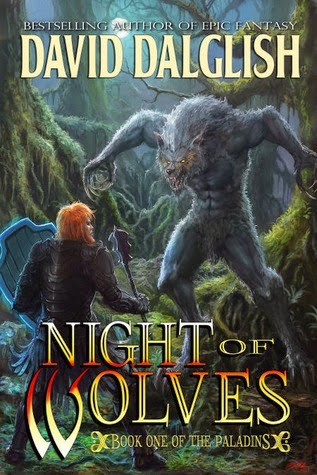 Mini review: A pair of paladins from opposing faiths find they must work together to protect a village from an invasion of wolf creatures. I found this one a little slow for the first half, but then the story heated up quite nicely. The relationship between the two paladins is interesting, sometimes tense, and it goes off in directions I could not have guessed. This is a relatively small tale, happening within a matter of days or weeks, mostly within one locale, but the broader world definitely has an impact. This was a pretty good tale, worth the time of anyone looking for a little adventure. 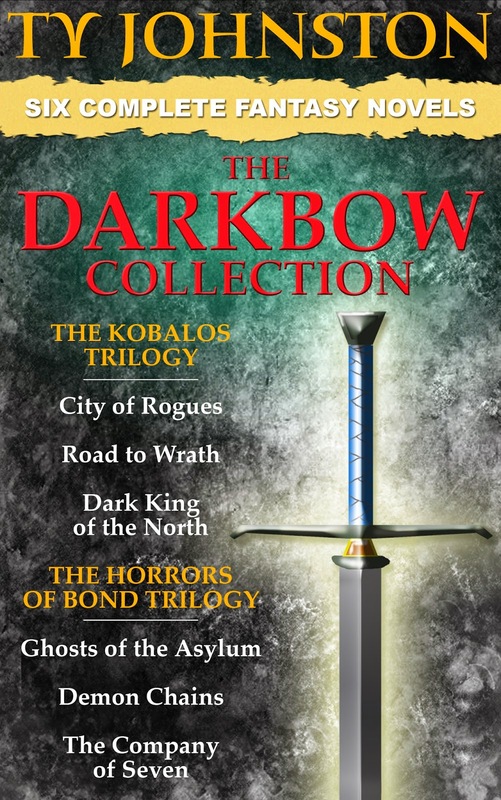 For both people who follow my blog, you will likely recall that at the end of December I released a 6-novel fantasy collection in e-book format and put it up for sale for only 99 cents. Crazy, right? Well, I blogged about this at the end of January, and my sales had actually been quite strong, all while not losing sales of my other books and e-books. My thinking at the end of January was that sales of the collection would soon dwindle and I would up the price. However, I decided to leave it at 99 cents a little longer just to see what would happen. Well, the sales kept right on going, and the e-book is still selling at 99 cents. Admittedly, sales of the collection were a little lower in February than January, but February is also a shorter month by three days. In January I sold more than 2,600 copies, but in February I still managed to sell about 2,000. And sales of my other e-books continued to remain at their typical pace, perhaps a few of them even selling slightly better than normal. But for now I'll stick with my original plan. For the time being the collection will remain at 99 cents, though when (and if) I see sales starting to drop drastically, I'll probably raise the price and see what happens. Also, as in January, this e-book collection did not sell well outside of Amazon, and I still did not do any promotions of any kind. Unlike at Amazon, at other sites I've changed the pricing a few times, but that doesn't seemed to have helped or hurt.